Posted on Friday, November 8th, 2013 at 3:18 pm. Boxing History: November 7, 1970 Carlos Monzón KO 12 Nino Benvenuti, Rome. Wins World Middleweight Title. 1970 Fight of the Year – Ring Magazine. 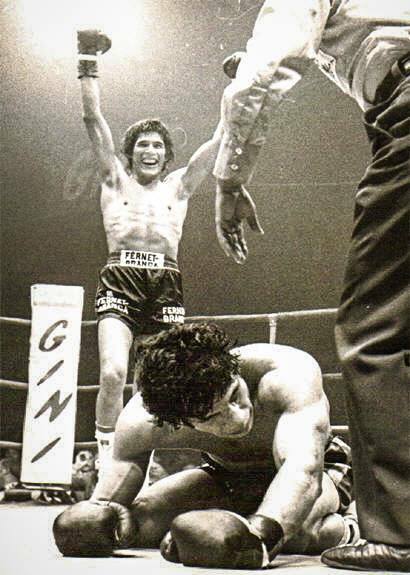 When Monzón shocked the boxing world by winning the World Middleweight Title by knocking out Nino Benvenuti, people rubbed their heads and said, “Carlos Who? !” Fame and fortune were now his. His ego and temper grew. Even though he was married, he had countless romances on the side. Actress Suzanna Gimenez was seen with him. Monzón acted in eight Italian and French films, including starring in the movie, EL MACHO. He jet-setted with movie star Alain Delon. He kept winning and winning. He survived a gun shot to the shoulder from his wife; an accident they said. 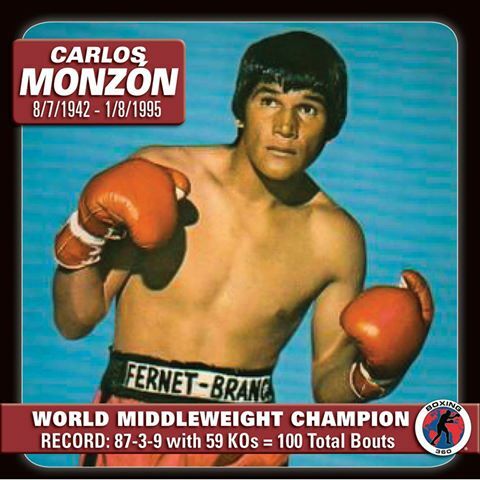 Carlos Monzón (August 7, 1942 – January 8, 1995) was an Argentine professional boxer who held the Undisputed World Middleweight Championship for 7 years. He successfully defended his title 14 times and is widely regarded as one of the greatest boxers of all time. 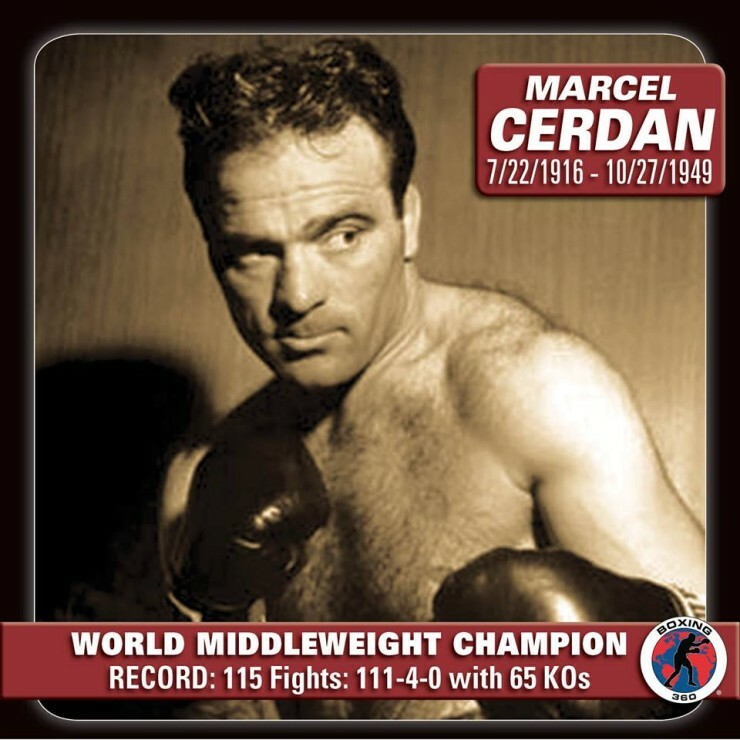 Inducted into the International Boxing Hall of Fame in 1990, he was chosen by The Ring magazine in 2002 as the 11th greatest fighter of the last 80 years. According to the investigation performed later, he strangled her, picked her up and pushed her off the balcony, after which he followed her in the fall, injuring a shoulder. In 1989, he was found guilty of homicide. He received an 11-year prison sentence. On January 1995, Monzón was given a weekend furlough while serving his term in Cárcel de Las Flores, Santa Fe Province, to visit his family and children. On January 8, 1995, when returning to jail after the weekend, he died instantly when his vehicle rolled over near Santa Rosa de Calchines.